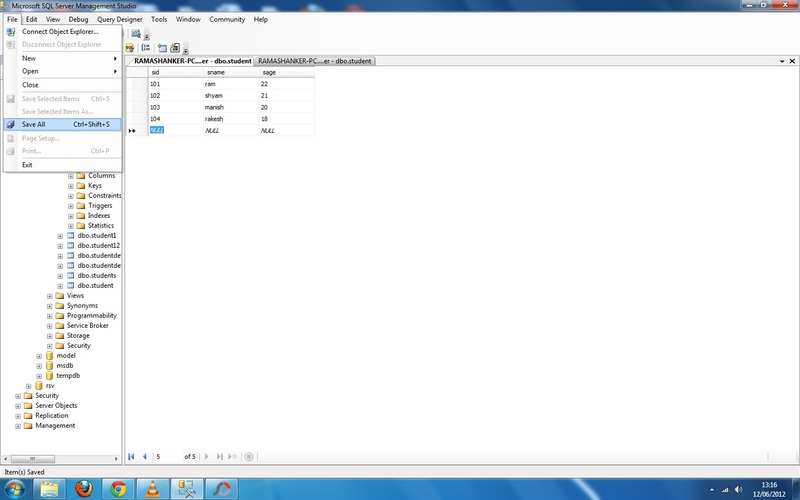 Step1:- Open your sql database->click Databases->System Databases->click master->Right mouse click on Table->click New Table. 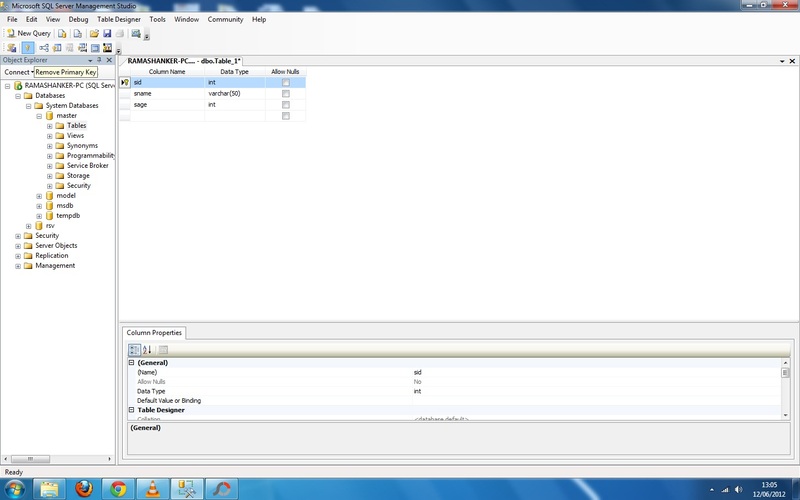 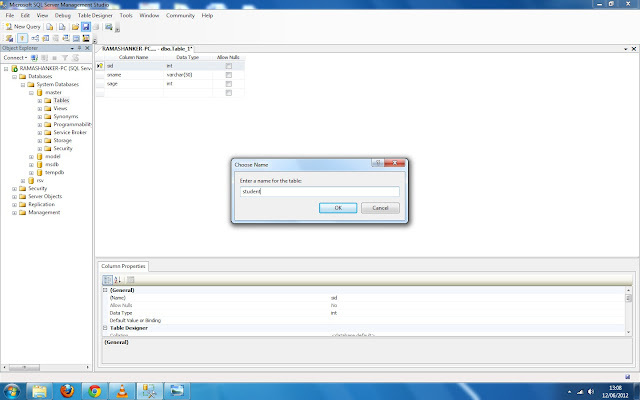 Step2:- Write the column Name in Table and set the primary key on column(sid). 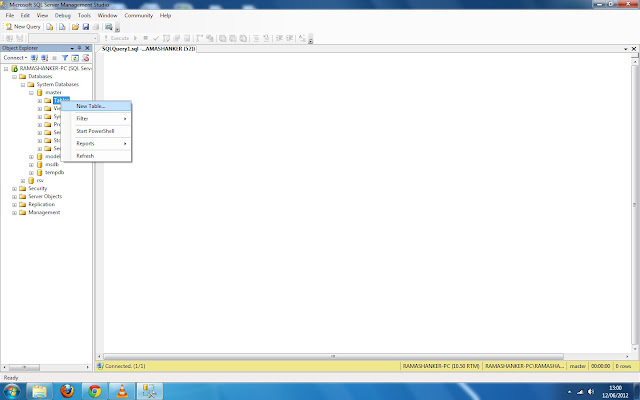 Step4:- Now Right click on table(student)->click Edit Top 200 Rows. Step5:- Insert the table(student) Data->click File->click the Save All . 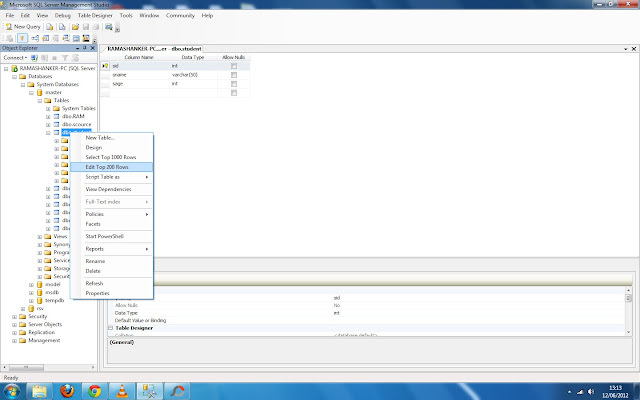 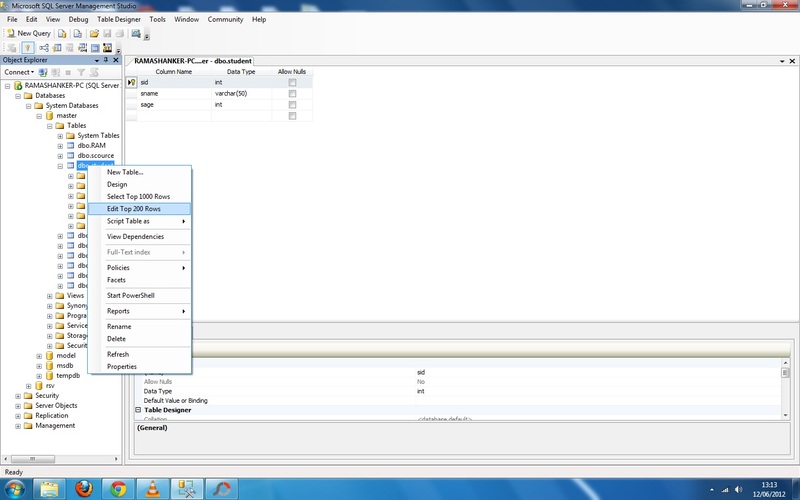 Step6:- Select the master-> Click New Query-> Type the command to show the student data.